Amazon knows what you like. It records every product you’ve looked at and displays it on your account page. Do you find that creepy? Is even just an unnecessary distraction? 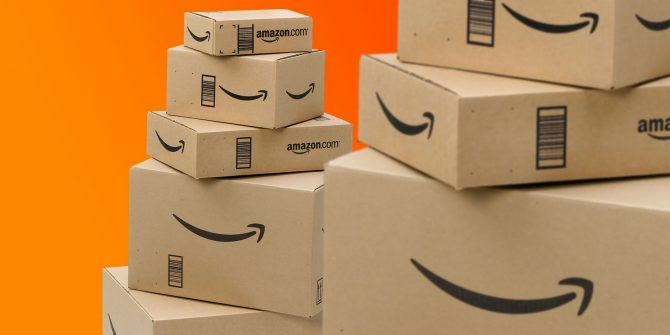 When you shop at Amazon The Amazon Shopping Guide The Amazon Shopping Guide This free Amazon shopping guide outlines everything you need to know to make the best use of Amazon and secure the best deals. Read More , you pay the price for temptation with your wallet: your previous shopping history is there to make you open your wallet again. But if you share your account with anyone, they’ll also be able to see all of your shopping quirks. In the case of a spouse, this could ruin a surprise gift you have in store. There are two ways to avoid this mishap. Go to Your Browsing History. Click Remove next to each item you’d like to remove. To remove all items, click Remove all items. Go to Your Browsing History again. Click on the dropdown for Manage History. Click on the Remove all items button. Turn Browsing History “off” with the toggle button. Your browser must be cookie-enabled for this to work properly. Clearing your browser cookies will re-enable your Browsing History if you’ve turned it off. If you’d like to re-enable your Browsing History for your browser, return to this page and click Turn on browsing history. The above process just hides your Amazon browsing history from prying eyes. It’s like taking a love letter and concealing it inside a drawer. You just removed it from direct view. Amazon still tracks your browsing history behind the scenes. How useful is your shopping history for you? Do you intentionally switch off Amazon’s browsing history? Explore more about: Amazon, Online Privacy, Online Shopping.